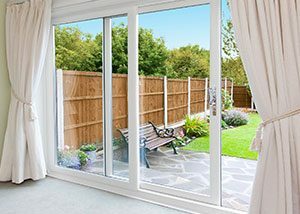 Manufactured to the highest standards, our doors are the perfect stylish, secure and low-maintenance choice, combining superb aesthetics with unrivalled long-life performance. 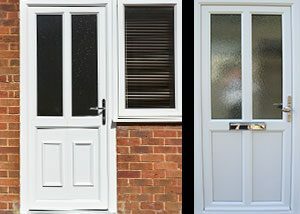 All our doors are completely weatherproof and have excellent resistance to knocks, scratches or whatever the weather throws at them. Unlike other doors, they don’t twist, warp or split. They also meet with the latest energy efficiency regulations which helps to reduce energy bills and keep out noise. That’s not all. Their low maintenance means there’s no need to paint or varnish, the occasional wipe over with a damp cloth will keep your smart front door looking as good as new. A classic look which combines traditional doors with the practical benefits of modern design &amp; materials. Whether you’re looking for something traditional or a more contemporary style, then we have a door that will perfectly complement your home. 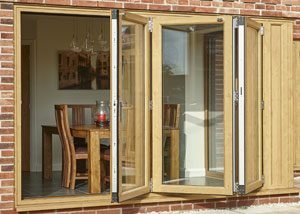 Offering a more traditional alternative to patio or bi-fold doors, our stunning range of uPVC French doors comes with the same high specification and colour options as our window range. 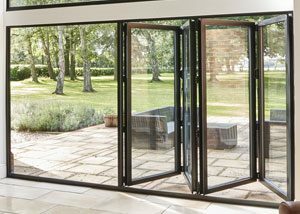 Bi-fold doors can provide a stunning alternative to patio or French doors and offer you a modern space-saving solution for your home that will definitely give it the ‘wow’ factor. Thermally efficient and provides additional strength and durability. They also show more glass then the uPVC option. 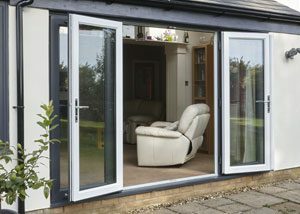 There are a huge number of options to choose from to truly personalise your patio door – the style of frame, colour, glazing and handles. 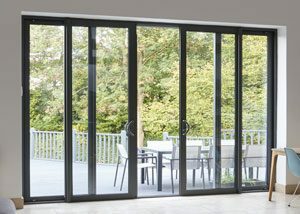 Our residential aluminium doors gives a high performing, robust domestic door at an affordable cost.